13 Jan 2019 – Adventure Time! Yesterday we went to Dunn’s River Falls. The class had the most amazing time climbing up the rocks and cooling off in the fresh water. One of our professors had a little too much fun at the kiddie pool. 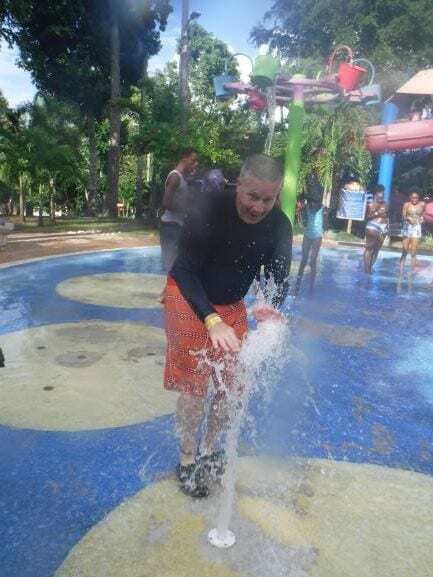 Here’s a picture of Dr. Warren, collecting data and acoustics at the local water parks. 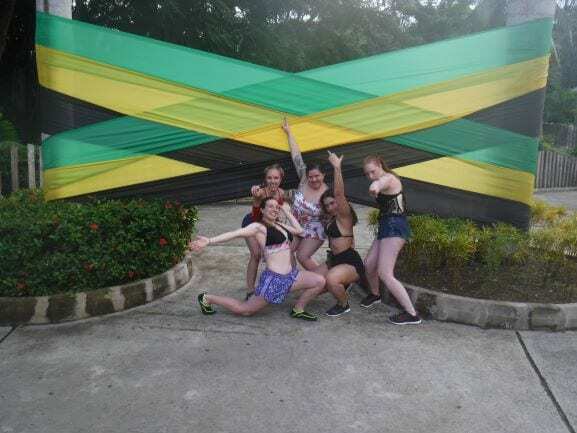 I had a great time exploring with my roommates in Ocho Rios. We visited a few shops and got food in town. It has been an amazing experience having roommates, as I am a commuter student and have never lived in a dorm. A silly pose from room 6! One of my favorite parts of this experience is being able to wake up every day and choose the adventure you want to take. Whether it be take a boat ride out to see some distant reefs, stay close to the lab and study the shallow waters, or spend time in the conference room studying. Our group has turned into one giant group of 19 best friends, and I couldn’t ask for a better way to spend my time here at discovery bay. We share snacks, help each other study, and stay up late telling stories. We will remember this experience and the people we are spending it with for the rest of our lives, and for that I am grateful. I also love talking to the locals learning about their culture, they are so kind. The ladies in the kitchen keep us well feed with the most delicious food, the security team keeps us safe, and the grounds crew and instructors are so filled with information and are teaching us so much. This place is amazing.